See more on our Worship page. The worship experience at Solomon’s UCC is to celebrate God’s presence and proclaim God’s word in our lives. We do this by having diverse worship services tailored to meet the needs of all ages, provide and receive the Sacraments, and share our offerings of love. 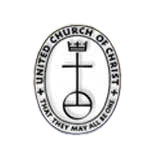 Solomon’s UCC church is located on Church St. in Macungie, Pennsylvania, Lehigh Valley. See directions for map. Solomon’s history started in 1841. Significant points of Jesus’ life are portrayed in the stained glass windows of the church’s sanctuary. You will find these different windows as you browse throughout our Web site. 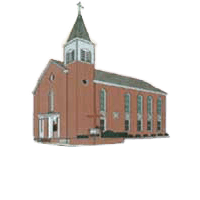 If you would like more information about our church, email us or call the church office (610-966-3086). Bring your coins (& dollars) and put in the coin jar. Money will go for parking lot expenses. To use the resources God has given to us to worship Him, to teach and spread His gospel in our local and world communities, to cultivate the spiritual gifts of our members, and to be faithful to our stewardship with our time, talents and financial resources. An energized, faith-based membership focused on spiritual growth, creating a sense of belonging, caring for the community, accepting everyone’s uniqueness, and being honest in our relationships.